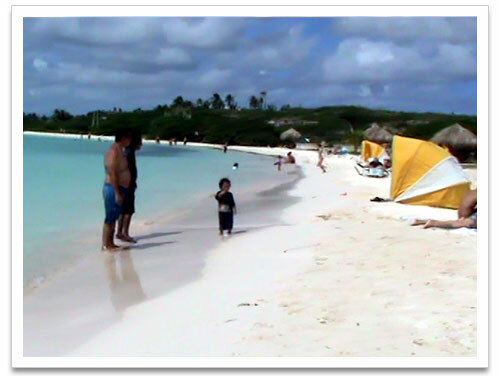 Baby Beach is in Seroe Colorado on the southeastern end of the island of Aruba. 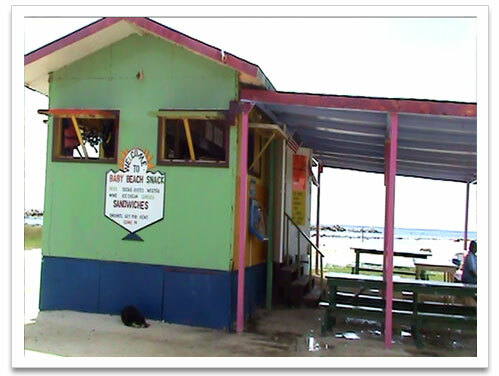 There is a refreshment stand, palapas, and yellow beach tents to rent for a price. There is a restroom available for your use but it will cost you $0.50. 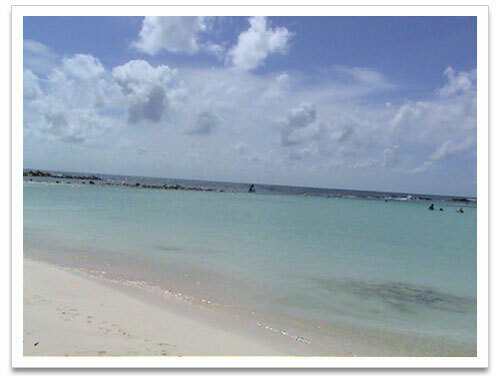 Families with young children enjoy swimming in the calm, shallow water of this beach. 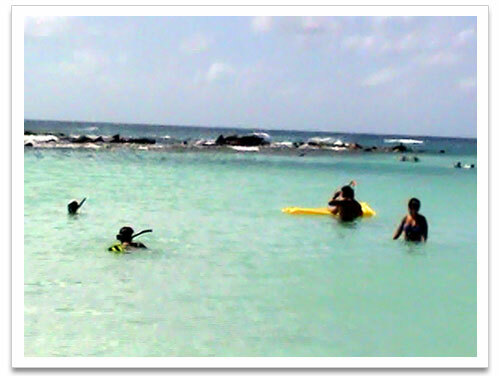 There are people who enjoy snorkeling in the calm waters of Baby Beach. I suggest you bring your own towels, drinks and snacks and don’t leave any valuables in your vehicle. 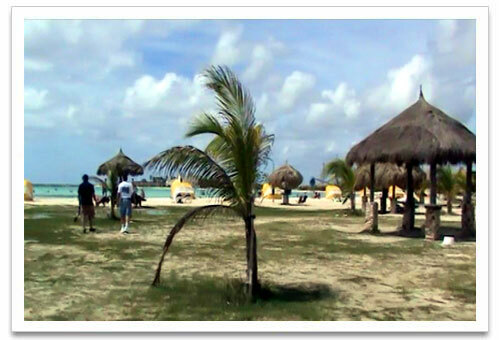 Baby Beach is usually not crowded and you will enjoy a quiet relaxing day at the beach...don’t forget the sunblock! Another cool place to take the kids on the island of Aruba is the Butterfly Farm. 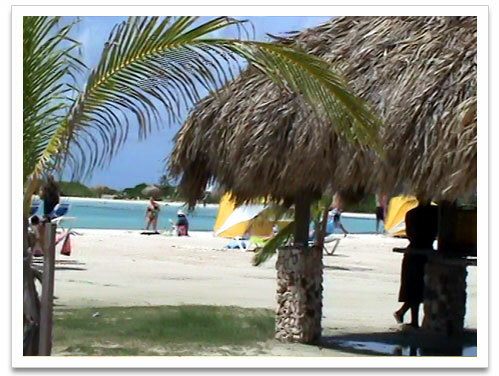 You can return to our Aruba Beaches page.